Marvel has become increasingly conscious of the need to tailor its movies for foreign markets, going so far as to add region-specific scenes to the Chinese version of Iron Man 3, and truncating the title of Captain America: The First Avenger in some countries. With the international release of Guardians Of The Galaxy, that means having Vin Diesel—voice actor of sentient tree creature Groot—say the character’s sole line in multiple languages, including Spanish, Mandarin, and French, as opposed to the usual practice of having native-speaking actors dub over the dialogue. 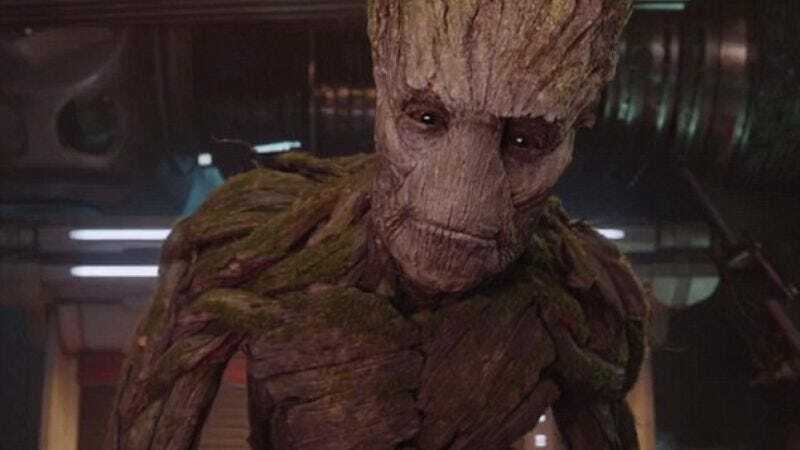 Of course, because Groot only says one thing, “I am Groot,” this video is basically four minutes of Vin Diesel growling variations like “Yo soy Groot” into a microphone, all while standing on stilts—to “see what it felt like to be a seven-and-a-half foot tree,” he says. It’s not clear whether Bradley Cooper, who voices the equally CGI-based, but more loquacious Rocket Raccoon, will also be dubbing his own dialogue, or what weird things he’ll have strapped to him if he does.